The unseen women scientists behind Tim Hunt’s Nobel prize by Helen Cahill. What is code? by Paul Ford. The real lesson of the Stanford prison experiment by Maria Konnikova in the New Yorker. A closer look at common misunderstandings about the Stanford Prison Experiment. The five roads to generality in ecology by Jeremy Fox at Dynamic Ecology. Baboon-trackers herald new age of animal behaviour research by Ed Yong at Not Exactly Rocket Science. The distributed brainpower of social insects also by Ed Yong. Biologist parents comic by Adam Gaylord. The pharaohs of Silicon Valley: My journey through Google headquarters by Wyatt Dixon at Clickhole. The famously difficult green-eyed logic puzzle. A video by Alex Gendler. Why is there so much hate for the word “moist” by Jim Davies at Nautilus. Ten simple rules to achieve conference speaker gender balance – Jennifer L. Martin in PLOS Computational Biology. The trouble with Evolutionary Psychology: A progress report – A number of short pieces on evolutionary psychology and Evolutionary Psychology introduced here by D.S. Wison at the Evolution Institute’s Social Evolution Forum. I highly recommend Clark Barrett’s The Shape of Thought: How Mental Adaptations Evolve for separating baby from bathwater. Genetic testing and tribal identity – Rose Eveleth at the Atlantic explains Native American concerns about genetic testing. This is interesting to think about in terms of identity conditioned on genetic vs cultural inheritance. Rogers’ paradox: Why cheap social learning doesn’t raise mean fitness – Marcel Montrey at Theory, Evolution and Games blog summarizes one of the foundational models of gene-culture coevolution. Hypothesis testing: Fishing for trouble – tobias at R-bloggers. Too good to be true – Scott Alexander on the state of psychological research at Slate Star Codex. Consequences of spatial expansions on population functional diversity – A video of a great talk by Laurent Excoffier at NIMBioS on “gene surfing” explaining why deleterious alleles (bad genes) tend to accumulate in rapidly expanding populations. Himba color perception – Mark Liberman at the Language Log. The video about Himba color perception being strongly influenced by language, sadly, overstated/fabricated. I’ve heard that the video is shown in a lot of undergraduate courses. Believe it or not, “learning styles” don’t exist – Simon Oxenham at Neurobonkers. Also at the NYT blog. Looking for the roots of terrorism – a [gated] news article by Sara Reardon in Science about recent work by anthropologist Scott Atran. Language (culture) and genes evolve differently – Razib Khan at the Gene Expression Blog. Three posts by Charles Goodnight on Andy Gardner’s take on multilevel selection. These are worth reading. I will post any reaction from Gardner. Gardner’s theory of multilevel selection: Where he goes wrong and why; Parsing the Model; The Discussion. No. 6: The Role of Culture... I used to have a certain contempt for cultural explanations of political phenomena. Whenever somebody invoked “culture” to explain some aspect of political behavior, I thought it was a lazy catchall category one could invoke to account for something one didn’t really understand. I now regard my youthful dismissal of culture as mostly just plain dumb, and I have become more sympathetic to explanations that employ well-specified definitions of culture. 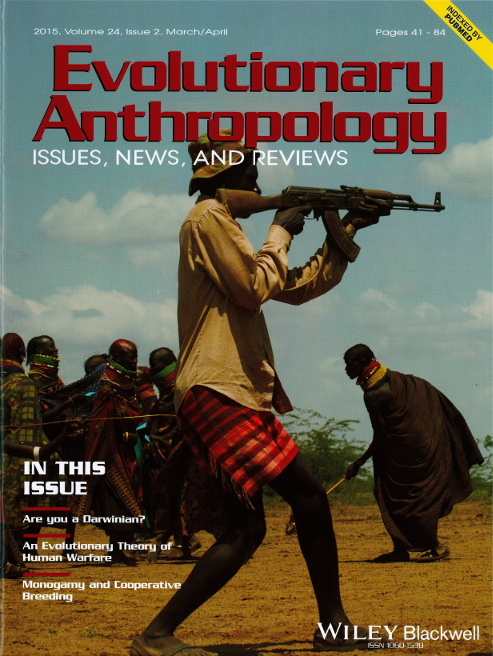 Relatedness, conflict, and the evolution of eusociality – Xiaoyun Liao, Stephen Rong, and David Queller in PLOS Biology. The newest twist in the fallout from the kin selection “debate.” I think every lab whose email list I lurk on simultaneously scheduled a lab meeting to discuss this one. Inclusive Fitness Theorizing Invokes Phenomena That Are Not Relevant for the Evolution of Eusociality. Martin A. Nowak and Benjamin Allen comment. Some Agreement on Kin Selection and Eusociality? Queller, Rong, and Liao respond. Weekend diversion: The math of Powerball – Ethan Siegel at Starts with a Bang goes, exhaustively, through the odds of winning Powerball. The American presidents—Johnson to McKinley – Tim Urban at Wait But Why writes a surprisingly entertaining piece about our most boring string of presidents. Why do Luna moths have such absurdly long tails? – Ed Yong at Not Exactly Rocket Science. No spoiler alerts here. How Big Are The Biggest Squid, Whales, Sharks, Jellyfish? – Ed Yong, again. Bearded Wonders of the animal world.